Five months after moving, we finally had a small housewarming party at our apartment with friend's coming up from the city. 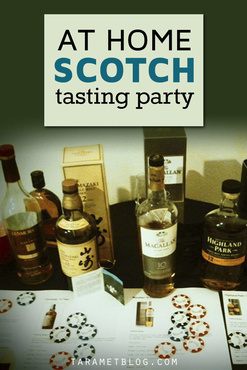 Since I love a theme though, I pulled out all the stops, calling it my Scotch & Sauce party. I made my dad's long pasta sauce, which takes about six hours to do. 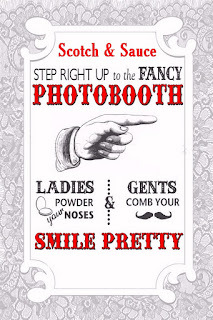 For activities, I also set up a Scotch tasting of different whiskeys and created a homemade DIY photo station. 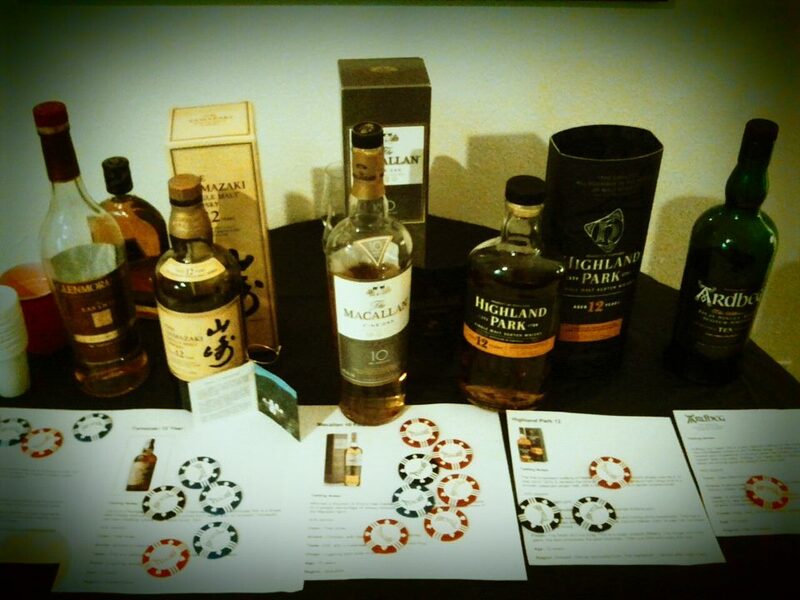 On a separate table, we set up a Scotch station with five bottles of single malts and tasting notes. You can compile tasting notes by going to each brand's website or simply grabbing some key descriptors regarding smell and finish at WhiskeyNotes for each Scotch you are trying. Each guest then received two poker chips to vote for their favorites. The one bottle with the most poker chips at the end won. I went with hard Vegas-style poker chips like you'd get at a casino, not the cheap plastic ones. I had a splash from each whiskey already poured into mini red plastic cups and shot glasses for sampling. Once the sampling and voting were over though, it was a free for all! Everyone could pour from their favorites and into Glencairn Glasses for those who like it neat or a real whiskey tumbler. 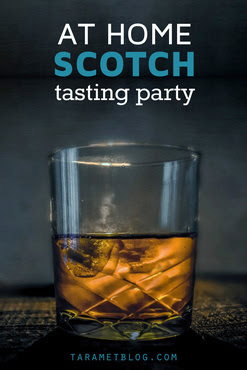 For this, I also had Scotch Rocks already chilled and large whiskey sized ice cubes in trays in the freezer available. It was hard to vote for my favorite, but I was surprised at how smooth The Macallan Fine Oak aged 10 years was. In fact, I kept drinking it throughout the night with a splash of water. The Yamazaki from Koyoto, Japan was also a hit with my friends, but Japanese Whisky, who knew? Glenmorangie is a regular of mine, but the Lasanta is aged in sherry casts, which I don't particularly like. This was the first time I actually tried any variety of Highland Park (love the look of their bottles) or the Ardbeg from Islay, which was way too peaty for me, it literally smelled like smoke. These Whiskey Makes Me Friskey Cocktail Napkins made for a fun conversation piece and an additional photo prop too! We also had the right sipping and tasting glasses handy including Glencairn glasses and fun whiskey stones and ice balls for those who wanted the additional water or chill to their drinks. Oh my god -- this is hilarious. 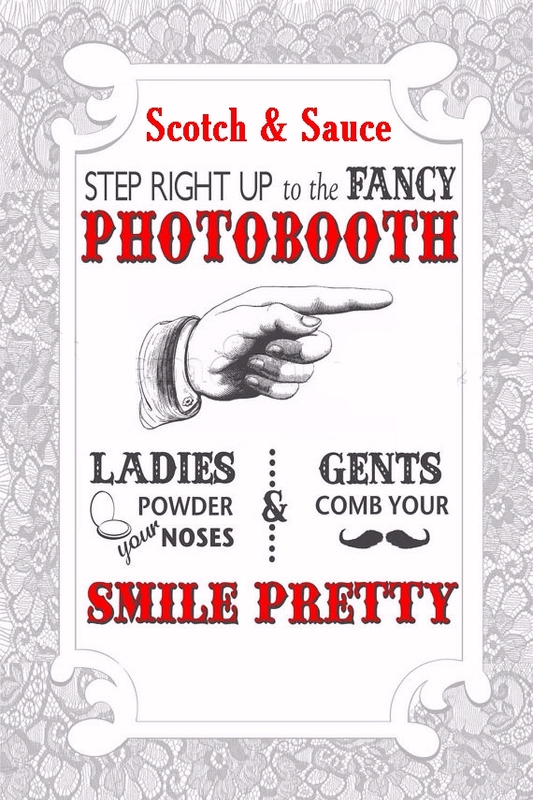 I am totally stealing your photo booth idea!! We've done homemade photo booths at 2 of our last parties. They are so fun. Looks like a great party Tara. 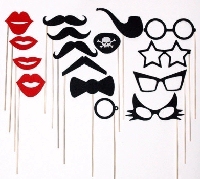 seriously what a fun party idea, i love it. Omg! Thank you so much for dropping by! I like to exchange links with you! Thanks so much for hosting! Only YOU would have all the little things that make it special. Not surprised at the results. The Macallan scotch is in my opinion the smoothest and most enjoyable single malt scotch in it's price range and beyond. It's interesting to note that it beat fine scotches that were aged 20% longer.